Serving the Greater Charlotte area! Stop by our retail location, Visions Landscape Supply & Design at 2411 N. Rocky River Rd. 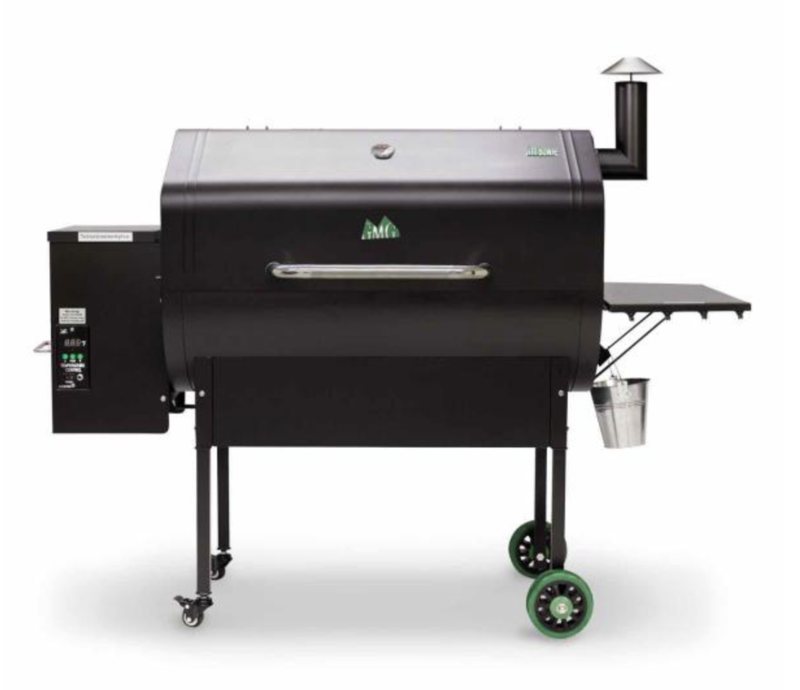 in Monroe, NC and check out the newest arrivals of Green Mountain pellet grills. ​The Davy Crockett model is the ultimate portable grill. It comes with a digital WiFi controller (control and monitor through our iOS or Android mobile application), a meat probe, a peaked lid for rib racks, a convenience tray with utensil hooks, and Sense-Mate, a thermal sensor which constantly monitors grill temperature. The grill can run on 12V or 120AC so it’s perfect for home or camping, tailgating, hunting, house-boating, music festivals or anywhere you can take it! The Davy Crockett weighs 68 pounds and features fold-able legs so that it can be easily placed in the trunk of any car. Open flame technology grease trays are optional and can be purchased in our parts section. 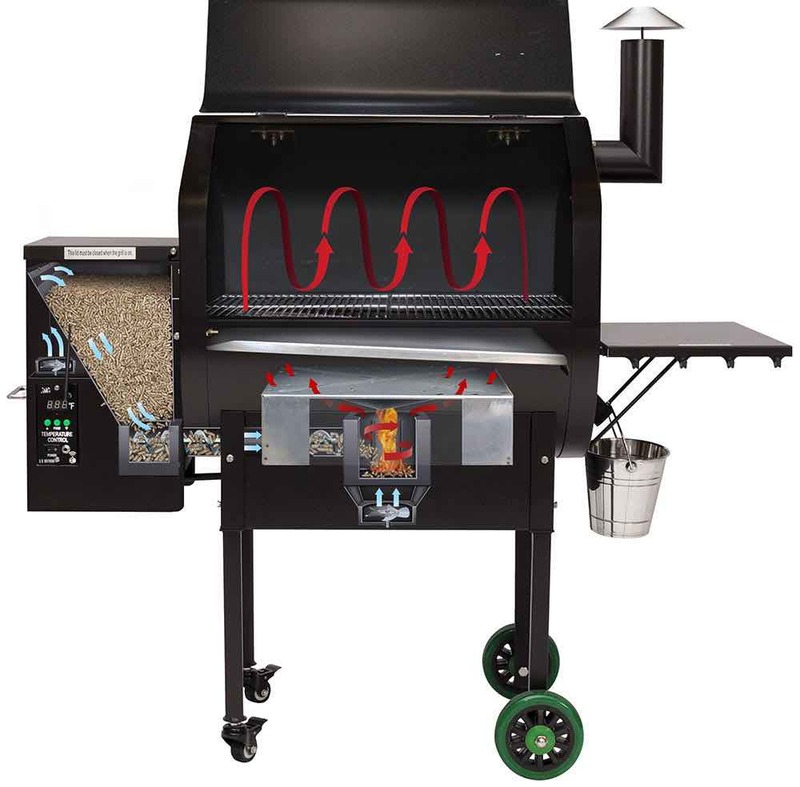 ​The Daniel Boone Model comes with a digital control, a meat probe, a peaked lid for stand-up chicken/large fowl/rib racks, a convenience tray with utensil hooks, hard rubber tires, and a venturi-style firebox for cyclone combustion. It also has Sense-Mate, a thermal sensor which constantly monitors the ambient temperature. When the weather gets cold, the sensor kicks the grill into Turbo mode, so you don’t have to wait long for the grill to heat up! 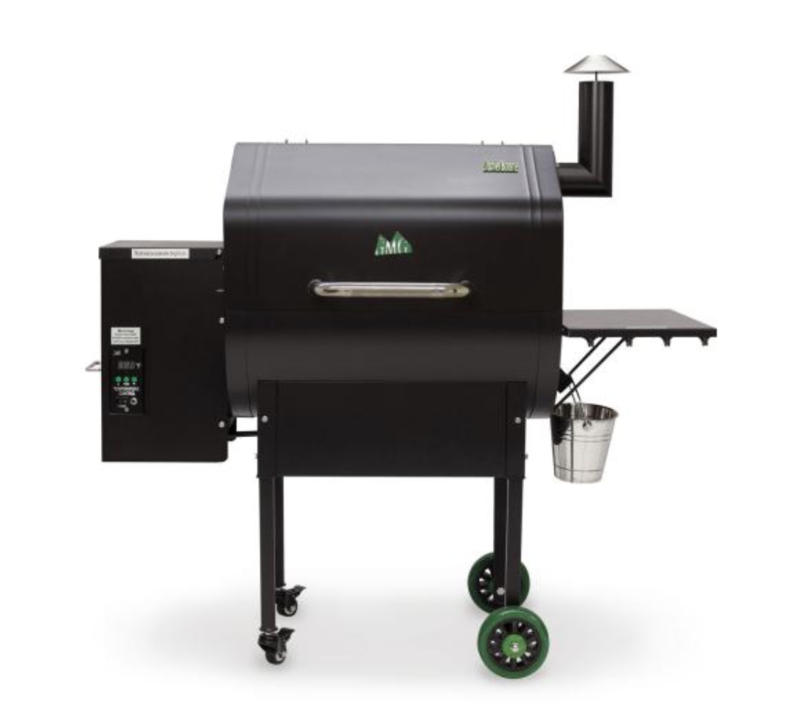 ​Other features include a positive pressure hopper fan to prevent burn-back, “fan only” mode with automatic shut-off to blow ash out of the firebox after you finish grilling, a 27×16 (Approx 432 sq. in.) cooking surface, and 13.5” clearance inside. It weighs 152 pounds. ​The Jim Bowie model comes with a digital control, a meat probe, a peaked lid for stand-up chicken/large fowl/rib racks, a convenience tray with utensil hooks, and hard rubber tires. Also included is Sense-Mate, a thermal sensor which constantly monitors the ambient temperature. When the weather gets cold, the sensor kicks the grill into Turbo mode, so you don’t have to wait long for the grill to heat up! 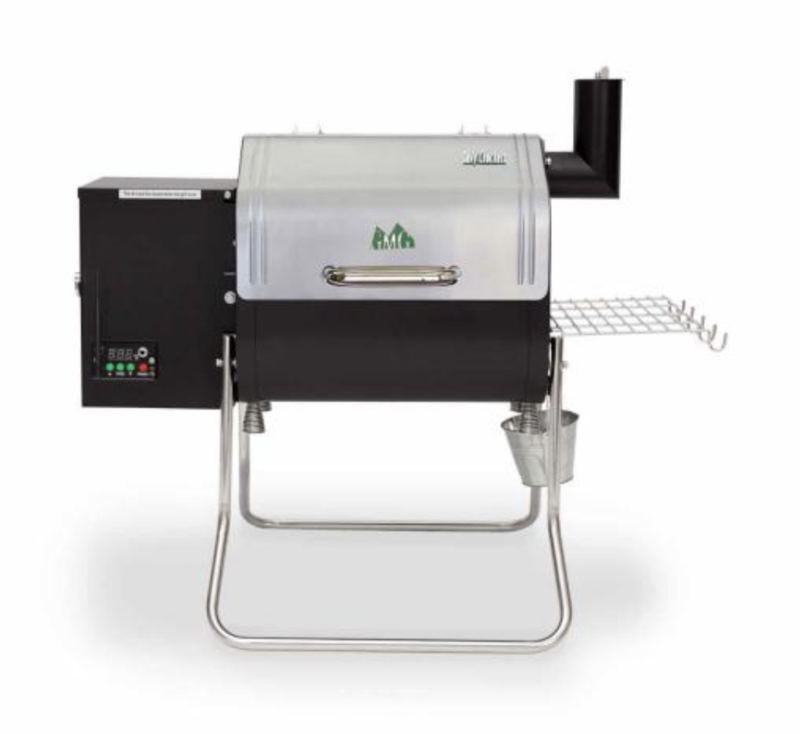 You’ll also get a venturi-style firebox for cyclone combustion, front casters, a positive pressure hopper fan to prevent burn-back, a dome thermometer, and “fan only” mode with automatic grill shut-off to blow ash out of the firebox after you finish grilling. The cooking surface measures 40×16 (Approx 640 sq. in. ), and the inside clearance is 13.5”. It weighs 183 pounds. The models listed above are just a small sample of the Green Pellet grills. For more options, please contact us at 704-309-0914 or visit the Green Mountain grill website.